KitchenAid introduced the first stand mixer 85 years ago, and they built them to last. A couple of those early models are still hard working today in kitchens similar to yours. This record of enduring quality has inspired them to create a long line of the high performance appliances designed to produce professional culinary results. KitchenAid the complete kitchen with food preservation, cooking, cleaning and counter top appliances. Denominate of “KitchenAid” did not intend, because of this appliances assistant in the kitchen. So it is at the source of a KitchenAid [Kitchen & Aid (assistant)]. Because KitchenAid offer several models match the usage in vary ranges of bakery and culinary. I pick up to compare KitchenAid Stand Mixer for 3 popular models have sold in America today ! 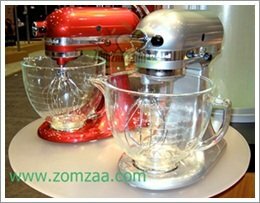 Choices for choosing the KitchenAid Stand Mixer ? Size of bowl – If the size of bowl have a greater capacity, we do it at once. But a very large 10-liter bowl ; a disadvantage is when you mix a few ingredients, it do not thread to the bottom of the basin. The popular size that is currently made ​​of 5-liter stainless steel. One reason is the stainless steel is better than plastic or glass bowl is that when we hit or whipped cream mixture should be cooled in the stainless steel to retain the cold better than other. You can make quick work out of large bowls of dough for breads or thick dough for chocolate chip cookies with this !. *** For general bakery, not often mixing the bread ingredients recommend stand mixer power at 300 watts or more. Lifetime and durability – We emphasize that this is important, how do we know that we will purchase the product worth the money we will used ? For new customer that don’t find out more details, the answer is choosing a well-known brand and more year warranty. 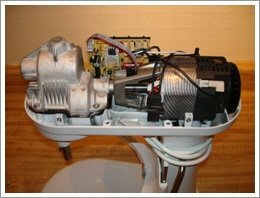 The great answer is the customer’s experience of which have been used for a long time when you have read this article, i believe that you are the one who has been told or heard of the reputation of the KitchenAid products. I heard from friends by word of mouth, KitchenAid is used for 10 – 15 years as the heritage from the mother to the child. Numerous great chefs in the larger stores or hotels, they are to trust the KitchenAid as an assistant in their kitchen. Baking school and cooking are trust the KitchenAid, Why ? Think of the number of students per class / number of classes in everyday, so they must looking endurance mixer to stand for massive usages. *** Although the manufacturers have made it very durable, however the factors can not forget it is yourself. Whether you use this equipment to be characterized as specifications of this equipment. How do you keep a clean, well maintained. When you pay attention to this point, every piece of equipment that will stay with you until the end of it’s age ***. Materials – made from? Metal or plastic. Of course, metal will be stronger than plastic and KitchenAid structure is made ​​of metal. Great ! Difficulty usage or not ? Have the necessary equipment comes with a mixer or not ? This point is not important, but KitchenAid have in order to stake money on it (if can’t be patient). Such as a KitchenAid in the current version can be adapt to be an ice cream maker and must prepare an ice cream bowl first, can be the pasta machine or meat grinder. 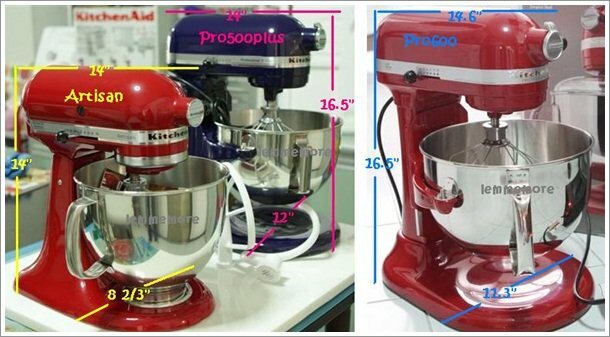 The adapter watts size depends on the watt of the stand mixer are to be used, the expert suggested that we should use the power adapter to power more then stand mixer is used and depending on the quality of the adapter too. The non-standard manufactures power adapter, as specified in the unit as a 500 watt but actually have a 400 watts power. 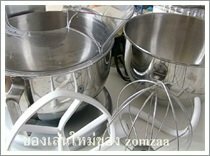 The expert suggested that for safety is to buy a greater enough watts; the adapter watts should greater then about 1.5 – 2 time of stand mixer watts usage. KitchenAid Artisan, Appliance 325 watt – power adapter should be at least 500 watt. KitchenAid Pro 600, Appliance 575 watt – power adapter at least 800 watt minimum. Different colors for choosing, What is color want to fill in your kitchen? This model is made for who prefer to do baking as a hobby. To show your skill with family, neighbors or special guest appreciate that you invented.Occasionally it’s used for baking bakery ​​in the party. In short, can use everyday but do not mixing it for a long time. 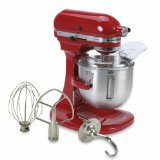 See also » This review : KitchenAid Artisan Mixer for more details. Spontaneous and energetic. Both in and outdoors baking, cakes and pies and bread. The provision for the future; pro 500 plus is the mid range model, suitable for the current and start a home bakery of your own. Designed for use in a commercial. Is robust to the use of the industry. The system turns off automatically to protect the motor when use for a long time. See also » This review : KitchenAid Pro 500 for more details. KitchenAid Pro 600 Make for Cooks who think Big (and Dream Bigger) KitchenAid’s top assistant in the kitchen or calling “a partner”. Commitment to a dream, secure firm to be a professional partner to help you fully with KitchenAid Professional 600. The extreme usage; often used times a day, made for large quantities of work and faster time to mix.Designed for use in a commercial. Is robust to the use of the industry. The system turns off automatically to protect the motor when use for a long time. I sincerely hope that this KitchenAid Stand Mixer Reviews and Guides will be useful to anyone who loves to make desserts and bakery. Have fun with the new kitchenAid stand mixer, use with cost-effectively and long term usage. 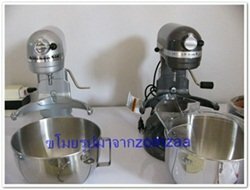 Thank you for some illustrations from Lemmemore and KitchenAid Stand Mixer Reviews from Zomzaa.com in Thai.